It’s no secret that your body goes through many changes, both highs, and lows, during pregnancy. Your body is preparing to bring a whole other life into this world, so no one expects it to be the same. However, some changes do come as a surprise because they’re not really related to the baby. Prime example? Your hair. Here, we’ve compiled a list of pregnancy hair changes explained. Perhaps the most commonly known fact about how pregnancy affects your hair is that it promotes growth. This is due to hormonal changes that your body is going through. These increases in progesterone cause hair to stay in the growth phase longer than it typically would in early pregnancy. After that, estrogen hormones take over and promote growth throughout the rest of pregnancy. Your head typically sheds about 100 hairs a day. During pregnancy, hormones can pause the exogen phase, leaving your hair in either the growing or resting stage. Therefore, many women notice thicker, lusher hair while pregnant. Fuller hair is a nice perk amongst other pregnancy symptoms like morning sickness. Unfortunately, the days are numbered! 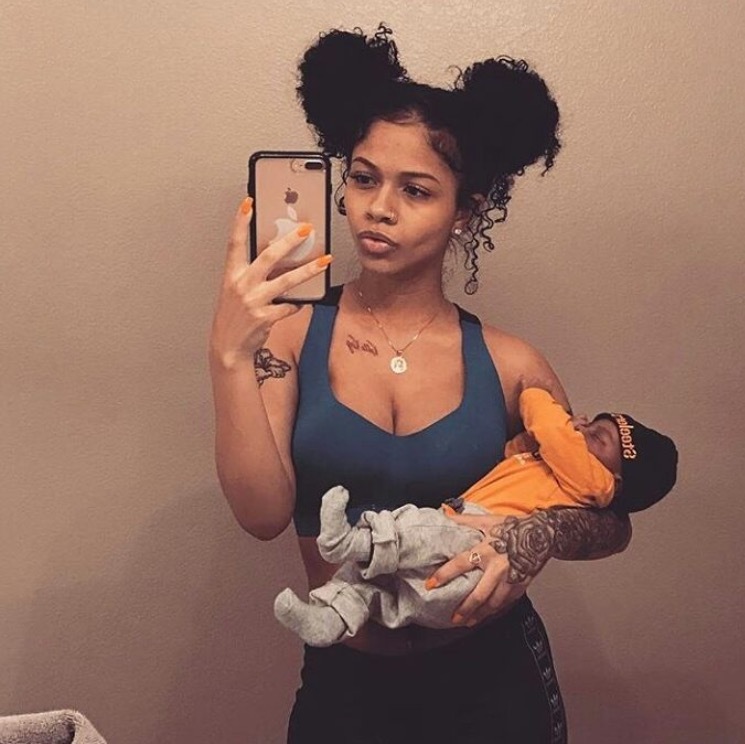 This growth phase usually lasts the duration of the pregnancy, however, about 3-6 months after the baby is born your estrogen levels drop drastically and that’s why some women experience postpartum hair loss. Shedding usually then begins to improve after 5-6 months. Decreased shedding gives the illusion that your hair is growing. While I just explained that it is in fact growing, people often get the two confused. Most commonly, women that are not pregnant assume their hair isn’t growing when they don’t see their strands getting longer. However, this is typically an issue of length retention, not growth. They’re shedding more hair than they’re growing causing their length to stay stagnant. Luckily, estrogen plays a role in both growing more hair and decreasing shedding. So, enjoy the lack of shedding while it lasts, because you’ll have a hard time adjusting once again to how things were before pregnancy. 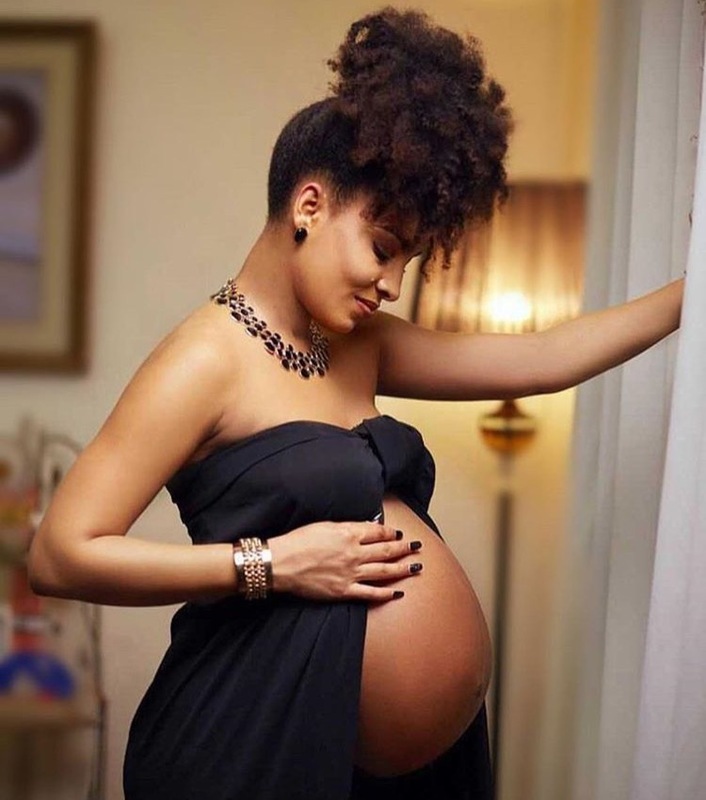 If you hope to retain any of the gains made during pregnancy, it is essential that you create a solid hair regimen now to help reduce the risk of postpartum hair loss. Not only do women experience growth due to hormonal changes, some also experience hair texture change during pregnancy. This change could be thicker and denser than before or it could be thinner and straighter, it is really a situational experience. Furthermore, dry hair can become drier, oily hair more oily, curly hair may become straight or straight hair may curl. 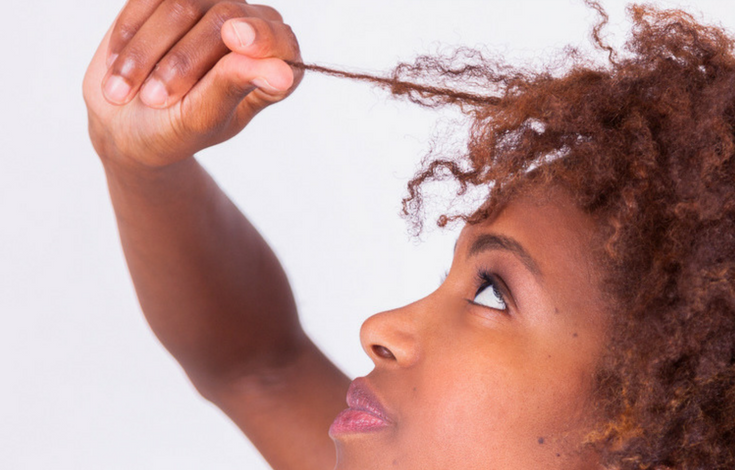 Do not think your hair is safe from these texture changes because you relax it, because you will be surprised what your hormones are capable of. Hair can take a perm and color differently, too. While hormones are often to blame, dry and brittle hair is also a sign of a potential nutrient deficiency common in pregnancy. Be sure to eat nutritiously and speak to your health practitioner if you’re experiencing this change. For most, hair will return to its normal state after the baby is born. Some women have reported that pregnancy even changes the color of their hair. Sounds crazy to think your hair can actually do this on its own, but it really fits right in with all of the crazy symptoms and changes experienced throughout pregnancy. Thank your hormones for these changes once again. Not only can hair change color naturally, but if you’re planning to dye it, it may also be affected. Hair has been known to go either darker or lighter. Why? It has to do with the hair’s texture that we just talked about. While your hair may have taken to color in one way before pregnancy, it may be totally different now. The hair may be stronger and more resistant to the color and therefore not take as well, or it will be more porous and absorb the color potentially making it darker than expected. It’s best to consult with a beautician for a strand test, rather than color at home yourself. No one really warns you about this part. They talk about how wonderful pregnancy is for your hair, but they fail to mention that progesterone’s growth benefits apply to your hair everywhere, even where it isn’t wanted. You will notice hair growth on your face, on your belly, arms, legs, armpits, everywhere! Beware of this. While there’s not much you can do to change it, be prepared to spend a little extra on shaving cream or waxes while pregnant.